When you’re marching to the playoffs, sometimes you need a little luck…and Carolina had that in this game. Mailing it in versus the Jets…the Panthers got a scoop and score fumble return TD at just the right time (down 20-18 with 12+ minutes left) and then a punt return TD soon after. The Jets did their part…because ‘they’re the Jets’. They dropped TD passes. They bypassed 4th & short attempts to kick short FGs. They played it safe, by the book…because that’s been working so well for them…and they ended up losing a game they should’ve pulled an upset in. It’s OK, though…it only cost them their season by sinking their 2017 season playoff chances. The Panthers play for a share of first place in the NFC South this week, heading to New Orleans. Assuming they lose that game because it’s a road trip, and they fall to 8-4…but the Panthers still would project to finish at least 2-2 in their final 4 games and get to a 10-win season. Lose to the Saints this week and Carolina is a strong wild-card candidate (and the Saints win the division, ostensibly). Beat the Saints this week and the NFC South may turn into a three-way war to the finish with CAR-NO-ATL. The Jets are done, and there is fantasy concern that when they’re out of it that they’d turn to Christian Hackenberg for a trial period to ‘see what they have’. If this happens, I don’t think we’ll see it until Week 17. Partly because only media thinks Hackenberg needs ‘a look’ – the Jets, I believe, are well aware they have nothing with him. Todd Bowles is not in a ‘rebuilding mode’. He is trying to bag every win he can for his resume/survival. He may get a contract extension and then he still would look at the last few games as ‘building cohesion for 2018’. Hackenberg is guaranteed losses, so the Jets could go there for better draft pick positioning…but Hackenberg is likely to embarrass the Jets brass that picked him and a cover-up of that may be preferred. If they roll Hackenberg out next week…they throw him to at Denver and then at New Orleans, followed by Chargers and Patriots. Any start would be a Nathan Peterman event…so, I think the Jets will wait until the very end when the focus is on the holidays. -- Raise your hand if you enjoyed the Robby Anderson (6-146-2/10) event…with him on your bench? I know a few people who had that happen. Hey, what can you say… Carolina entered the game as a top 5 pass defense in yards allowed and pass TDs allowed, while being a top 3-5 sack unit…allowing under 20 points per game in their prior 4 games. Who would have figured the Jets for 27 points…and butchered chances for 30+. Anderson has shifted from WR3 you kinda trust to solid WR2 week-to-week…a WR2 putting up WR1 numbers. Anderson has scored a TD in five straight games and has averaged 15.6 FF PPG (20.2 PPR) on 4.6 rec. (6.6 targets), 83.6 yards, and 1.2 TDs per game in that five-game span. -- One of the reasons Anderson is soaring is because Josh McCown has been a QB1 for the last 7 games. Over this last seven games, he’s averaged: 246.1 passing yards, 2.0 TDs/0.7 INTs, and 0.29 rushing TDs per game…22.9 FF PPG. McCown faces the #28 pass defense (KC) in Week 13. 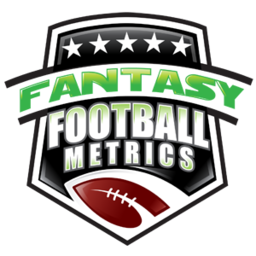 -- Austin Seferian-Jenkins (2-27-0/7) could’ve helped the Jets win/McCown push his numbers even higher…but he dropped two TDs. A pure drop, wide-open in the end zone early on and then that disputed diving end zone grab late…both ended up to be FGs instead of TDs. ASJ has had two TDs stolen from him in controversial replay reviews this season. Had they both counted, Seferian-Jenkins would have 5 TDs in 9 games played this season. With the passing game humming…ASJ is working like a discount Jimmy Graham – good catch count, low yardage, TD threat every week. -- You’d rather have ASJ than Greg Olsen (1-10-0/4) for the ROS at this point because Olsen likely to miss this week and maybe next as the Panthers use caution to get him back. Then you have the risk of recurrence of injury. -- Devin Funchess (7-108-0/12) is racking numbers between the 20s but TDs haven’t come consistently yet with Funchess as the team’s new #1 WR. In his last 6 games, Funchess has one game where he scored a TD (2 TDs vs. MIA Week 10). Weeks 13-14 (NO-MIN) might be tough drawing top coverage if the Saints get Marshon Lattimore back (unlikely). No one cared much about Kelvin Benjamin the past two seasons with Cam…is Funchess headed the same way in fantasy terms? -- Good luck figuring out the Jets backfield situation…Matt Forte (10-26-0, 0-0-0/1) got hot and then got hurt and is now back as the lead guy in a three-way rotation. Will the Jets shut Forte down? Does the NFL ever do things that make sense? This is Forte’s final NFL season, more than likely and sees to want to keep playing week-to-week when he could have just taken a powder. Every time Forte has been able to limp onto the field – the Jets push him/use him. -- Keeping an eye on Jets rookie WR JoJo Natson (1 rec. for -1 yard on 1 target). He got his first catch of his NFL career this week. Natson was one of the best young Colts WRs in their training camp/the preseason and a dynamic return guy but he was cut and attempted to stash on the practice squad but he got claimed away, eventually the Jets grabbed him, held him, and then promoted him. He is small (5’7”/153), tough, and is just one of those guys who makes things happen when he has the ball. He’d be a nice #3 WR with this producing group this year. Adams is OK, but I never thought he was great. His effort and leadership are an ‘A’. His athleticism is a ‘B’. His penchant for running past plays and missing tackles is a concern.